Want to see all the technologies used by sitescout.com? SiteScout is the world's leading self-serve platform for buying banner ads on the web and on mobile devices using real-time bidding (RTB) technology. The company's easy-to-use platform, transparent reporting and real-time control deliver unparalleled performance for brands, marketers and agencies. With a low minimum deposit, and the ability to sign up within minutes, SiteScout makes best-in-class real-time bidding (RTB) technology accessible to advertisers of all sizes. 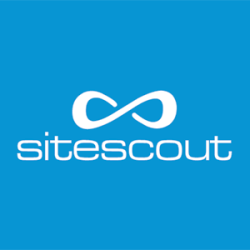 For a quick look at additional technographic info on sitescout.com or any domain on the web, download our Chrome Extension. Check out our help article to see how Datanyze Insider can help you.